The one used so far was too long to be tightened alone, but it is okay if it is this length. Basically, I think that the tool of Mr. TONE is expensive. This review is about item#2180875. It is a necessity for inserting and removing the plug in a deep place. I bought 150 and 300 mm. It is good. This review is about item#2180525. I bought it because it is the best size (125 mm) for plugging / unplugging of Honda Vamos. It is short at 75 mm, I think whether it is just good for use environment where 150 mm is not necessary. This review is about item#39500361. This review is about item#39500377. Because I live in a rural town in Kochi prefecture it is difficult to get special tools. Thanks to the monotalou product will be delivered the next day so it will be saved. This review is about item#36999584. This review is about item#02180525. Because I did not have 1/4 set of TONE purchase. This review is about item#2180421. 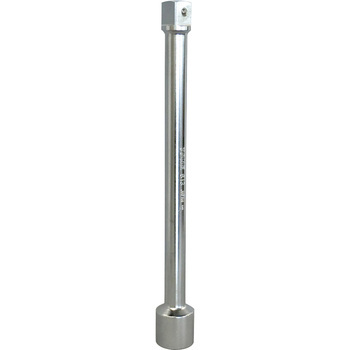 It is used between the torque wrench and the socket by exchanging the tires of the car. It is good that things are cool and it was just right for tire change. I think that usability will be worse if you select a shorter one. This review is about item#02180561. Since it will be a work of combining extension bars of various sizes in a narrow place, it is impossible to deal with only the items of the set, so addition is necessary. Thank you so I can purchase it cheaply. This review is about item#02180744. Together with other sizes, buy three. Together with what I have used up to now, I think that it is almost inevitable. I think that the finish is beautiful and good product. This review is about item#39500456. In a place where the space to turn the ratchet is narrow, I want a length that is perfect and purchased. Thanks to this, it became easier to work. Finish is also beautiful and is quite good. It can be used without any problem. The desorption is smooth and easy to use. This review is about item#02180516. What I saw at Chinatown at the home center was white and cloudy satin, but what I received was glossy plating (slightly satin finish). I wanted something of plated finish so it was a great answer. Until now this size was using cheap tool set, but purchased unreliable about handling and thinking firm thing. It was a correct answer, I can work with confidence.